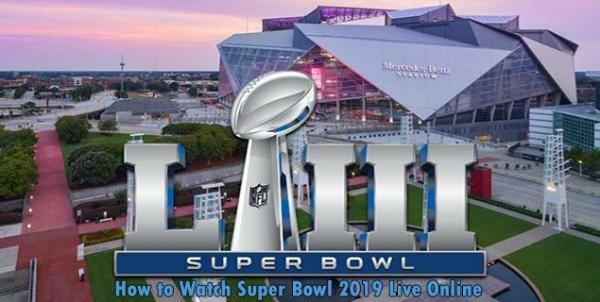 The Super Bowl 2019 – the biggest NFL game of the season has arrived. Superbowl 53 is to be played today, and here’s how you can watch Rams vs Patriots online & on various other medias like TV, Android, iOS, PlayStation, Xbox, etc. In today’s game, the New England Patriots will be playing against Los Angeles Rams. for the Lombardi Trophy. If Sean McVay’s team happens to win the cup, then he would become the youngest coach to win a super bowl trophy ever in the history. On the other hand, Bill Belichick would become the oldest coach to do so if his side happens to win it. There are plenty of options regarding how to watch this year’s biggest match. The official super bowl live stream will be made available by CBS on CBSsports.com. We have an exhaustive list on where and how you can catch the live updates on the go and at your comfort zone wherever you like. There are going to be many storylines to follow in this particular match. For example, it will be Rams’ Todd Gurley and Jared Goff vs the Patriots’ Tom Brady and Sony Michel. Earlier this season, people said that the Patriots are done for this time, but they proved to be wrong once again. Brady is eyeing for his 6th Super Bowl cup and 5th career Superbowl MVP. All of the viewers would be watching Brady and Belichick. The Patriots have beaten the Chiefs to get a ticket for the super Sunday match. That was a difficult match, but experience won in the end. The Rams would be looking forward to repeat the history, i.e., what the Eagles did last season and leave the Pats as the underdogs by defeating them. The Rams are one of the best NFL teams so far with players likes of Brandin Cooks and Roberts Woods on offense, Aaron Donald, Aqib Talib, and John Johnson on defense. Let’s now get straight to the point on how you cn watch the game on both CBS and connected apps and devices. Viewers can use a number of ways to watch through different platforms and devices CBS All Access. Before this match, the Rams are 2.5 point dogs in Super Bowl 53. But, evident in the history, they have overcome worse odds. This game is to be played at a neutral site, where they don’t have to worry about the cold of Foxborough. Bettors are still learning how not to go against the Patriots. It’s because they have made everyone and anyone who had tried it. Another player matchup to watch for will be Brady vs Goff. It will be an interesting game. Brady has got experience while the Patriots have got a very good player in form of Michel. For Rams, Gurley doesn’t appear to be in 100% self, but CJ Anderson who have had an amazing season is looking forward for a chance to prove himself. The Rams will need to start the game fast and score points because if they don’t, the Patriots will pose greater threat to them as they have done earlier in this season.